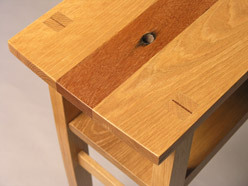 Oliver Drake is a professional woodworker based in Chelsea, Quebec. 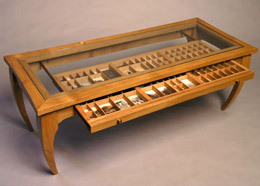 A graduate of the cabinet making program at RTC in Montreal (1999) he has worked until recently in England and France, combining his love for antique restoration with a passion for contemporary design. 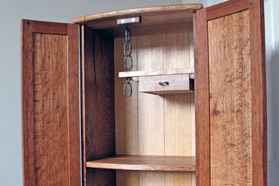 His specialty is finely crafted furniture using ethically sourced wood and sustainable timber drawn from local woodlots. Chelsea/Wakefield Studio Tour — Sept. 28 – 29 and Oct. 5 – 6. Click here for website. 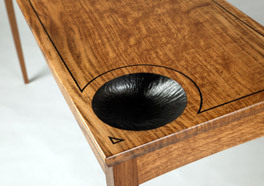 Oliver Drake designs and makes furniture out of his studio near Wakefield, Quebec. Initial design consultation is free and he is happy to discuss any project you may have in mind.